*** Save $100 Pay only $499 if you register by March 7, 2019. Other discounts may apply. Registration price is $599 after March 7, 2019. PLEASE NOTE: YOU MUST BE A CERTIFIED GFM1 INSTRUCTOR IN ORDER TO PARTICIPATE IN THE GFM2 CERTIFICATION. A GFM1 & GFM2 COMBO CERTIFICATION IS AN AVAILABLE OPTION. A GFM2 INSTRUCTOR CERTIFICATION IS ALSO A RECERTIFICATION COURSE FOR GFM1. GFM2 is the logical next step for GFM1 coaches. We use the same movement patterns, but we organize them differently. Our goal is to progress from bodyweight mobility, integrated and playful movement, toward using tools we can find either in nature or in the functional gyms of today. 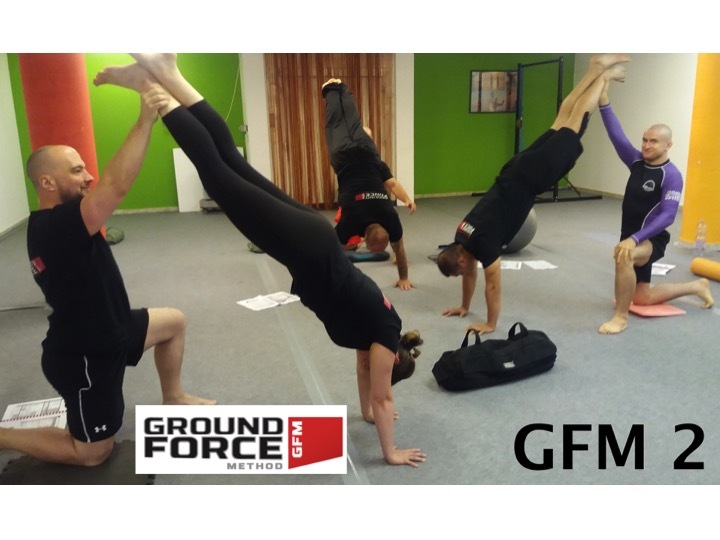 GFM2 presents a logical progression using more advanced bodyweight skills with more partner exercises – while adding games and creating the FLOW in the training session. The skills test is on the last day of the course in order to successfully complete your GFM Level 2 Certification. If unsuccessful on the testing day you will have 30 days to send your course instructor a retest video. Instructor candidates are expected to be able to competently and confidently demonstrate all the basic skills of GFM1 and the GFE throughout the GFM2 certification. Your GFM1 diploma will automatically be renewed for two years when you receive your GFM2 Instructor diploma.